Santa Monica-based college counselor Diana Hanson is committed to helping students and their families prepare for college. Her career as an independent college counselor began in 2005, and she has assisted students with every aspect of applying to college. From selecting a college to preparing a college application, Diana guides students through the entire process. Diana taught English Composition at East LA College, and has graded thousands of essays in her career. With her strong background in writing, editing and teaching writing skills, she is an expert college essay adviser. That’s important because the college essay is one of the most challenging parts of a college application. Writing doesn’t come easy to some students, but under Diana’s guidance, her clients’ college essays are strong, effective and authentic. Her English and writing experience also make her an excellent adviser for potential English or Journalism majors. Diana holds Bachelor’s and Master’s degrees in English, and a Candidate of Philosophy in English from UCLA. She completed (with distinction) the Certificate in College Counseling program at UCLA. 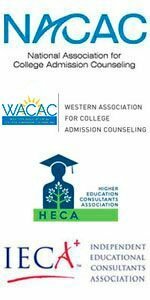 Diana is an active member of the National Association for College Admission Counseling, Western Association for College Admission Counseling, Higher Education Consultants Association, Independent Educational Consultants Association (Associate member). She follows each college counseling organization’s high standards of ethics.Some students match well with certain college counselors. Diana is a great match to so many students because she is skilled at helping students express themselves in writing. As a parent, you may be overwhelmed by the college planning process, but Diana helps families make the right choices while reducing stress. Diana’s college counseling services are patient and guided, helping to make students – and parents – feel confident and at ease about this potentially stressful college application process.